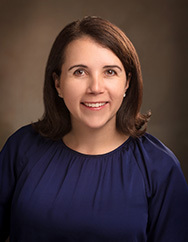 Victoria M. Knudsen, M.D. – Retina Associates of Utah, P.C. Dr. Knudsen received her M.D. degree from Yale University School of Medicine in New Haven, Connecticut. She was awarded the Watters Award for Outstanding Chemistry Major and the Bonner Award for Outstanding Senior in the Department of Chemistry at the University of Utah where she received a B.S. in professional chemistry with a minor in Physics. She completed her ophthalmology residency and vitreoretinal surgical fellowship at the University of California, San Diego where she served as Chief Resident and was the recipient of the UCSD Schanzlin Research Award. She was the recipient of the Paul Kayser Scholarship Award and did a rotation at the Fundacion Oftalmologica Las Andes, in Santiago, Chile. She also studied vitreoretinal complications at the Moorfield Eye Hospital in London England, and did a rotation at Columbia University, NYC. Dr. Knudsen’s research and publications have covered a variety of complex retinal conditions. Dr. Knudsen has served as a reviewer for both The British Journal of Ophthalmology and The American Journal of Ophthalmology. She is board certified by the American Board of Ophthalmology and the Royal College of Canada Physicians and Surgeons. She is a member of the American Society of Retinal Specialists and Utah Ophthalmology Society, a Fellow of the American Board of Ophthalmology and a fellow of the Royal College of Physicians and Surgeons of Canada.